Looking for a new Jeep for sale near Branford? 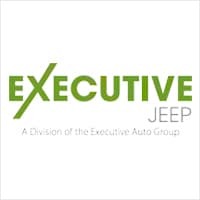 With 175 models in stock, Executive Jeep has you covered. From a new Jeep Grand Cherokee Upland with a Park-View backup camera to a new Jeep Wrangler Sport 4×4 with front fog lamps, we’re sure to have a new Jeep vehicle with the features and options you need. Browse our wide selection to find the new vehicle that’s perfect for you. If you’re looking to fully customize a Jeep Wrangler, we can do that too! Perfect Price Policy – Get our best and guaranteed low price first without negotiating. Now that you’ve browsed our inventory online it’s time to visit our showroom in North Haven near Milford for a test drive! Contact us at your convenience to schedule your visit so you can explore the Cherokee trim levels. Having trouble deciding between leasing vs. buying? Consult our helpful guide to make the right decision.